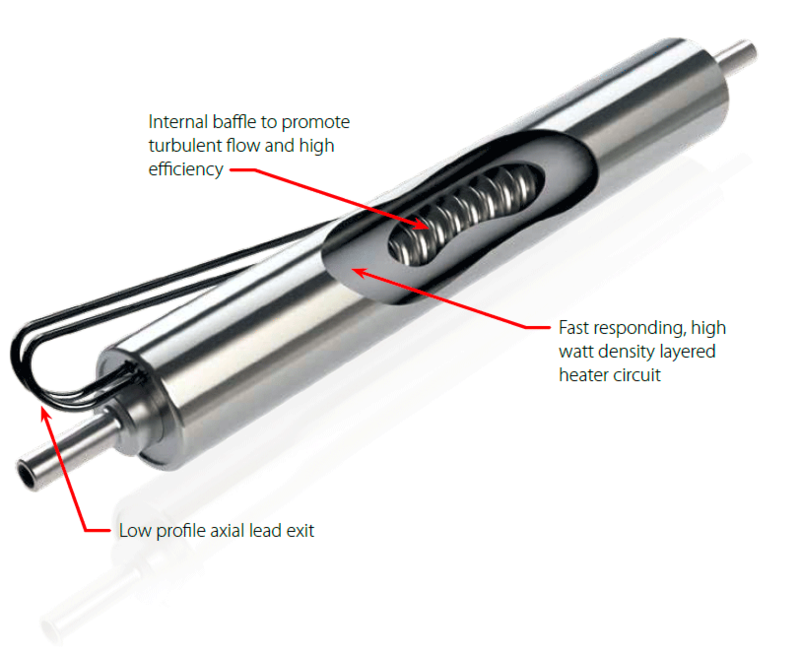 Watlow’s new FLUENT in-line heater is a small, lightweight, high-performance heater that can replace both a traditional immersion type heater or a heater wrapped around a tube as part of a thermal system. Watlow’s FLUENT heater is designed as an integrated solution that replaces multiple components in a system. This heater design reduces overall system cost and complexity. Because of its high watt density, it offers ultra-fast response leading to higher system performance. 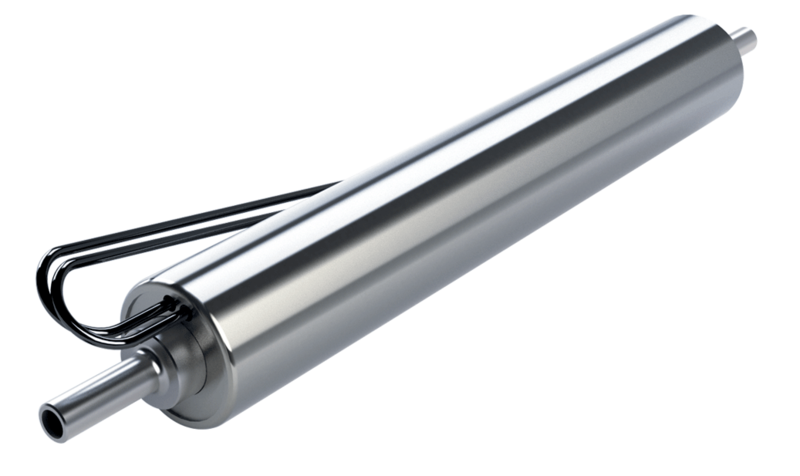 Featuring Watlow’s patented thermal spray technology, the heater makes use of its entire surface to produce heat, which optimizes heat transfer and temperature uniformity.